I highly recommend Mr. Gang and you would be foolish not to rely on Mr. Gang’s expertise. 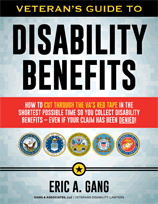 In September of 1996, I filed a disability claim for PTSD. After the application, I was treated by Dr. Arehart, a Psychiatrist at the VA Clinic. Assisting Dr. Arehart with the evaluation was Dr. Hoffman, a psychologist, who concurred with the diagnosis of PTSD. I’m sure under pressure from the VA, Dr. Hoffman later changed his diagnosis. 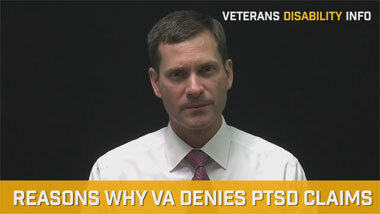 The VA would not give any weight to any other diagnosis. I was compelled to provide several requests for the same VA documents already part of my military records. I was sent to numerous psychological exams and testing. However, without specifying any specific diagnosis, I was consistently told that I had no findings of PTSD. This went on for about 13 years. I had filed one appeal after another, but I was unable to get anyone to listen to me. Finally, the VA Appeals Court made its final finding of no Service Connected Disability. I was ready to give up, but I did file an Appeal with the US District Court for Veterans Appeals. It was at that time that I made contact with Eric Gang, Esq. There was something about him that gave me a sense of security that my case would be handled as if it was Mr. Gang’s own case. He succeeded in securing a Remand and had great success with the VA review of my case. Mr. Gang was very impressive in the knowledge and expert application of the Case Law as well as the various statutes pertaining to this matter. After great deal of legal maneuvering by Mr. Gang and the several psychological exams by impartial experts in the field of PTSD and employability, I was successful in a matter that I had just about given up on. Mr. Gang was a God Send to my wife and myself. I know that all of the success was the work of Mr. Gang. 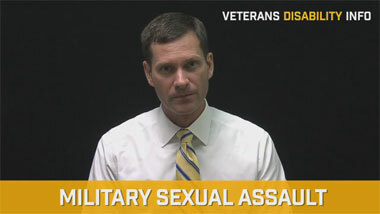 If you get into a situation like mine, or in fact any VA matter, I highly recommend Mr. Gang and you would be foolish not to rely on Mr. Gang’s expertise.